2011: First Year For Pruning Walnut Trees. The Walnut we planted in 1997 is now ready for it's frist pruning. This first pass is mainly to determine what is growing, where it's growing, and what is growing next to it. Many of the Walnuts are still too small to prune so we mainly check to see that they are not being held back by weed trees (box elder, etc) or over-topped - or unreasonably crowded - by the pine that we planted (intentionally close to the walnuts) in 1998. The small Walnut trees are left untouched. We don't want to take off branches that are used by the tree to put on growth (any growth at this point). We can worry about form later ( as follows ). Many of these walnut have grown to 15 to 20 feet and I can barely wrap the fingers of one hand around the trunk at chest heigth. These are ready to start developing into straight, knot free, saw log (or venier) producers. We not only prune off lower branches but we check for any doubles (two trees planted in same place) and that there is a dominant leader. There are many trees where the leader (or terminal bud that will become the leader) has either been nipped off by deer or by the wind or been frozen by a late frost. This results in two or more new leaders competing for leadership (racing each other for the sky). We look at the over-all growth of each of these and that of the tree and decide which has the best chance to continue the tree's gowth in a straight path. Frist pass pruning on first planting of walnuts. Most of the emphasis is on removing double trees and removing non-dominant leaders so that a dominant leader can continue upwards. All without removing too much of the growth factory branches that provide the tree with energy to put on height and girth. We planted the walnut (both seed and seedlings from Roland's personal nursery in River Falls) in 1997. Since most of the farm was then being rented out to a neighbor for corn production we started planting in land that was previously alternated between pasture land and alfalfa. We plowed furrwos aproximately 15 feet appart over an area of about 5 acres. This produced a total furrow lenght of nearly 5 miles. 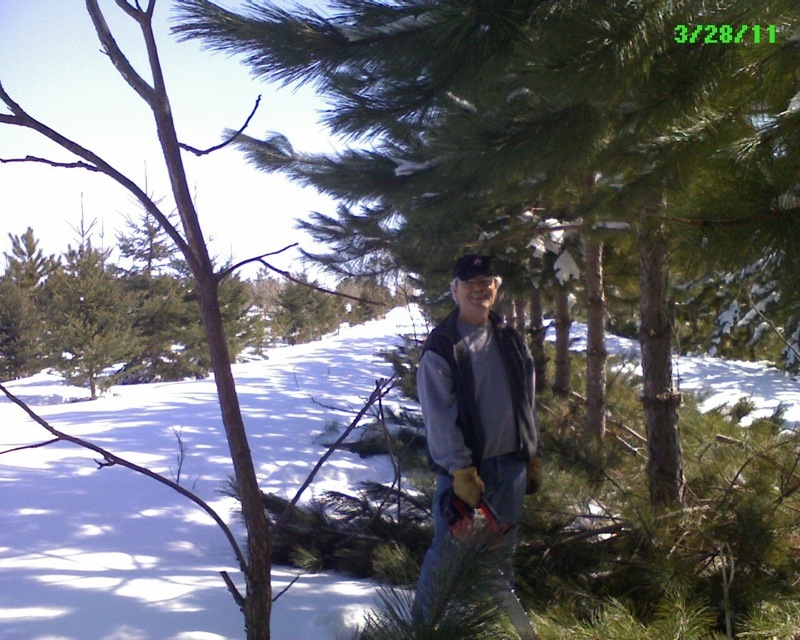 The following year (1998) we transplanted Pine and Spruce obtained from the Wisconsin DNR Nursery in furrows plowed withing 5 feet of every other walnut row. 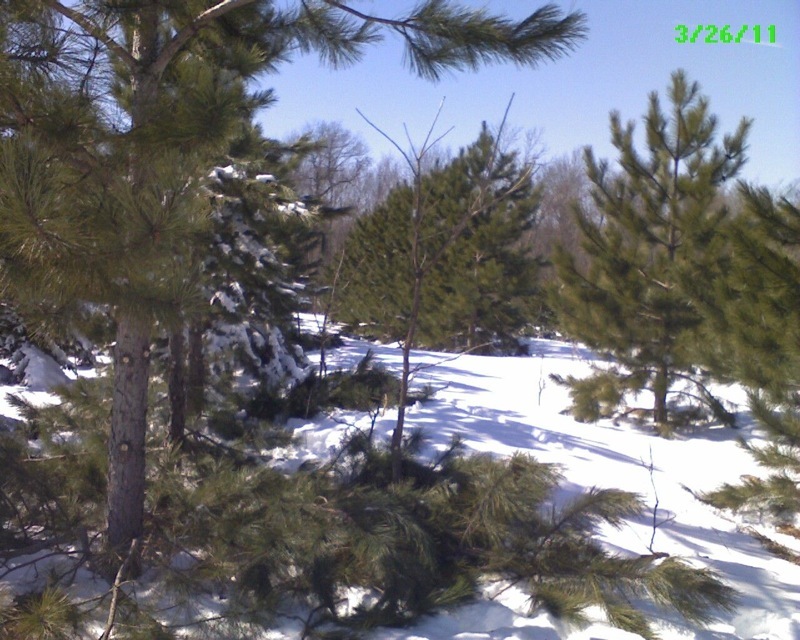 The result of this - where the pine have prospered - is that the pine are beginning to crowd the walnuts growing next to them. In this case we are prunning to give the walnuts more light and to train the pine to extend themselves vertically instead of horizontally and add girth which will translate to marketable wood production (the agricultural commodity now produced on this farm). 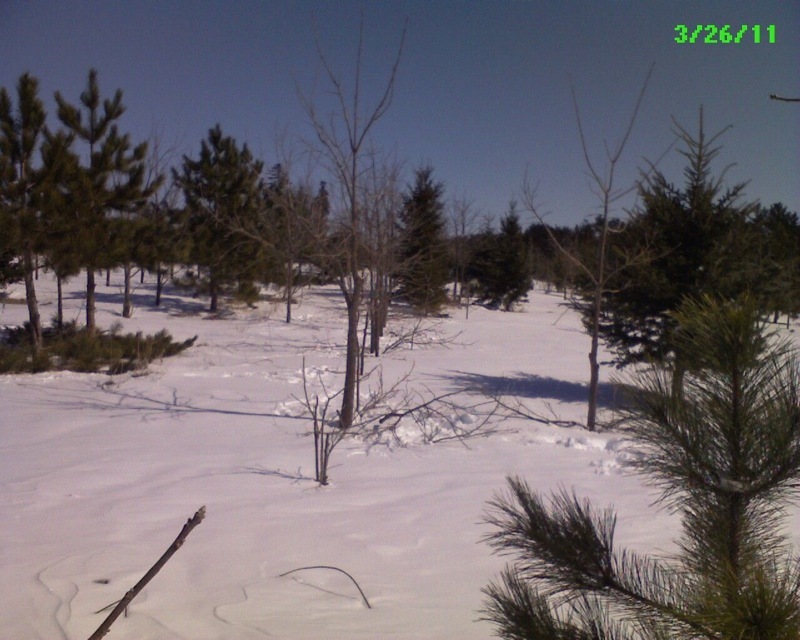 This field (paasture) was planted first with walnuts (in a plowed furrow) then followed the next year with red and white pine transplants. In the rows where the translantes prospered they are now towering over the walnuts. Most of these walnuts seem to enjoy the protection from winter sun and wind and are doing just fine. We are prunning the pine up along with the walnut in order to give both the empitus to grow up and not out from now on. In the parts of this field where the pine are prospering, the pine themselves are beginning to be at a point where they may be crowding each other. 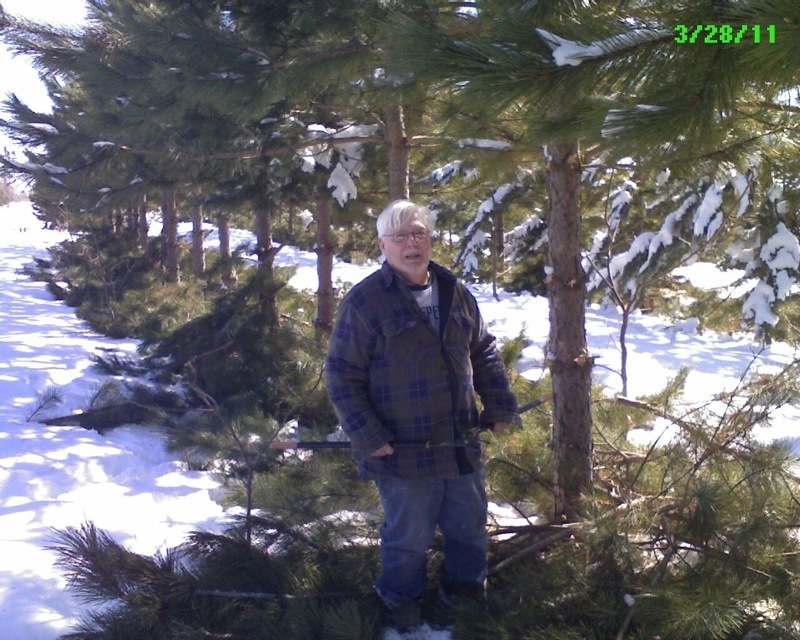 We are beginning to take out pine within the pine row where choices are easy due to deformed or severely crowded conditions (one tre groing right next to the other). We are also pruning for leader dominance where there has been crown damage.